Crane Paper's "The Definitive Collection" is a unique paper because of its 100% cotton composition, making it a pleasure to touch. 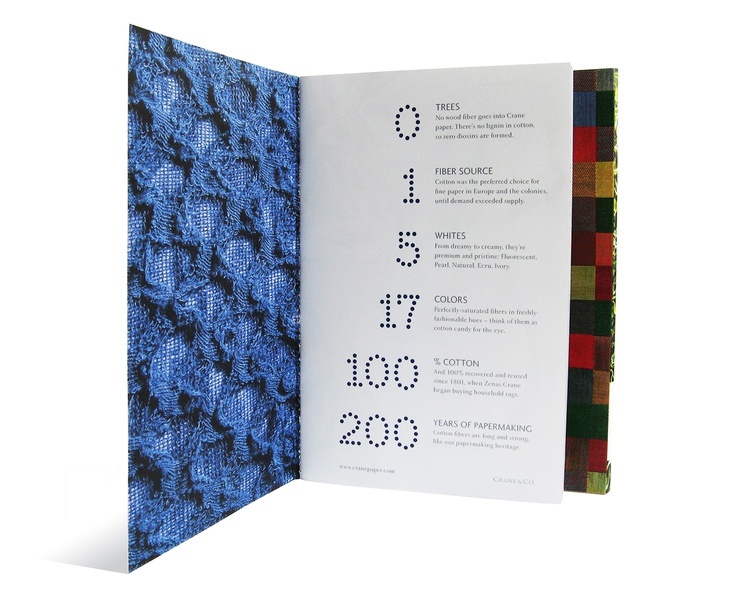 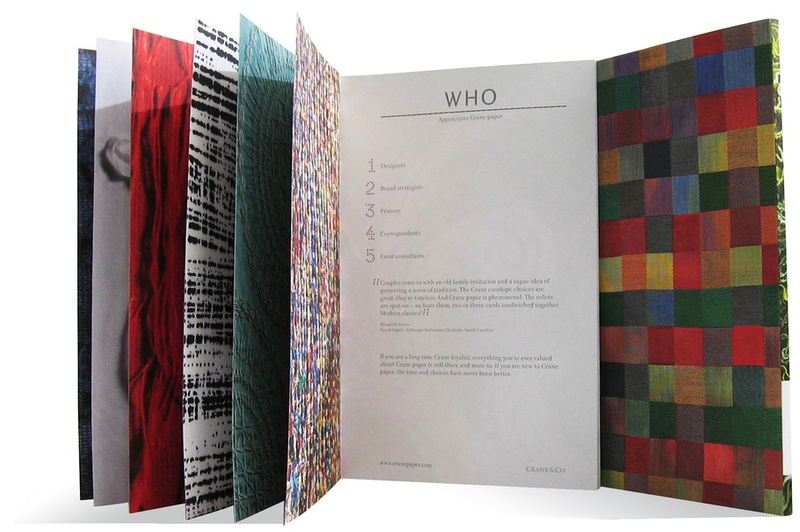 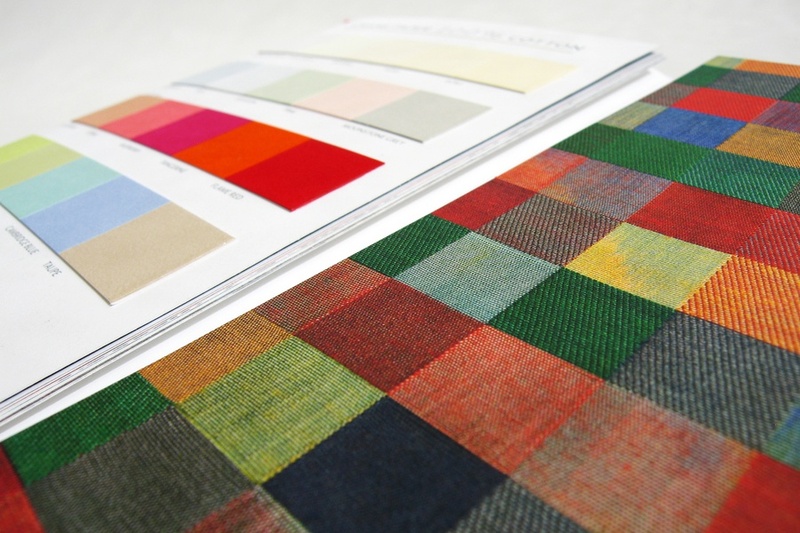 The tactile experience is enhanced by featuring magnified details of fabric as visual images within the swatchbook to showcase the paper's printability and consistent surface quality.Because the cotton fibers are recovered and reused, Crane paper is environmentally exemplary. 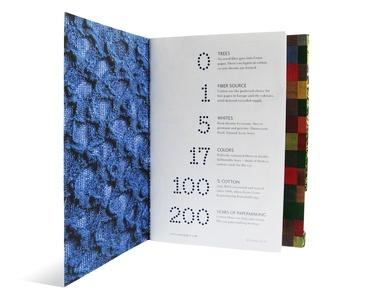 Furthermore, there is no lignin in cotton, so zero dioxin is formed and released. The "green" qualities of this paper are metaphorically suggested by the image we selected for the cover, which is the artwork Summer Mountain by fiber artist Hyangsook Cho. 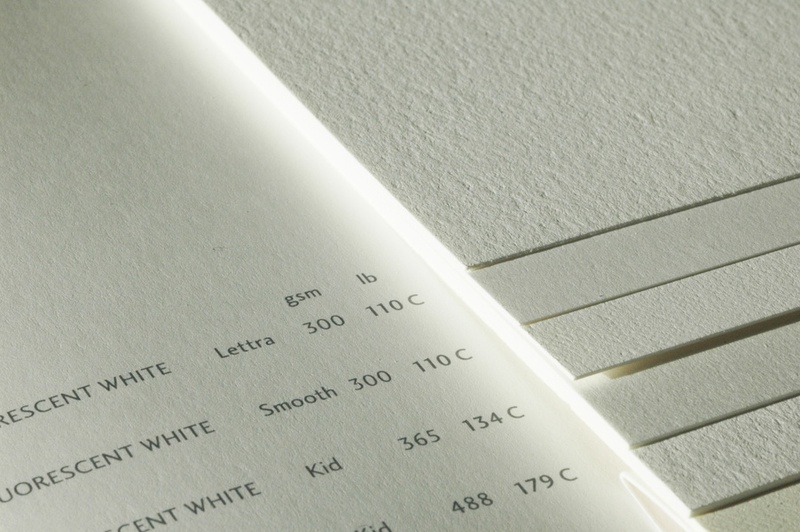 The swatchbook is bound with red thread stitching, additionally playing on the cotton theme. 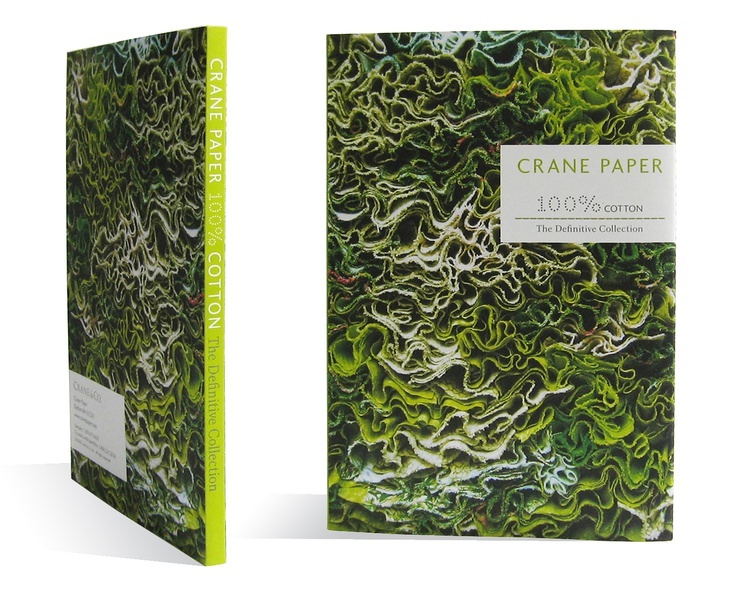 The consistent quality and unique touch of Crane paper has also been embraced by the U.S. Treasury Department; it has printed U.S. currency on Crane's 100% cotton paper since 1879.